5.0 out of 5 starsWell defined characters. I love the Cherringham books. The characters are so well drawn and the description of the places are so real, one feels as though one is right there. I am never bored, nor does any plot drag on, either reading or listening on Audible. Neil Dudgeon is the perfect narrator as well. Each book is a new adventure, and I never feel that the plots are repetitive. Matthew Costello and Neil Richards are great together. I would like to see Sarah and Jack finally get together. Maybe it would take Jack feeling like he was in danger of losing Sarah to bring him around. Enjoy every Cheringham and this doesn’t disappoint! 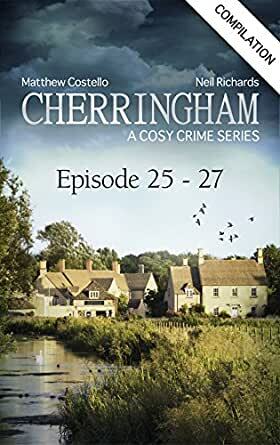 The Cherringham mysteries are, as always, enjoyable and entertaining. The stories provide a shorter mystery, which is well planned. We have read the entire series. It is a relaxing quick read. My husband listens to the books on tape whIle traveling. He really enjoys them as he drives on the road.